SmoothSkin Gold is designed to help break the cycle of hair growth. Light energy is transferred through the skin’s surface and is absorbed by melanin present in the hair shaft. 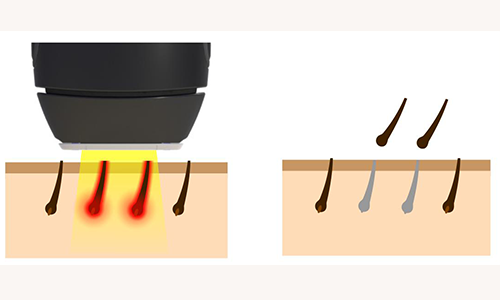 The absorbed light energy is converted to heat energy below the surface of the skin disabling the hair follicle. Take a look at the short clip below of how IPL works.